The President of Nigeria has signed the 2018 Nigeria budget. This is the breakdown of the signed budget, according to Premium Times. You can refer to the 2017 Nigeria’s federal budget here. 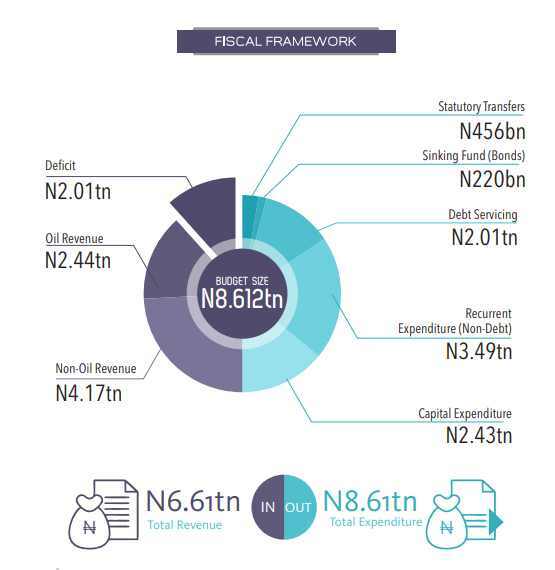 The total budget is N9.1 trillion, up from the N8.6 trillion estimates he submitted to the Assembly on November 7, 2017. The National Assembly raised the total figure by N500 billion. Notice that the official rate of Naira to $1 is N305. The full proposed budget before the National Assembly added the N500 billion is here (pdf). 2018 Nigeria Budget (source: BudgIT). Note this plot did not capture the additional N500 billion added by the National Assembly. 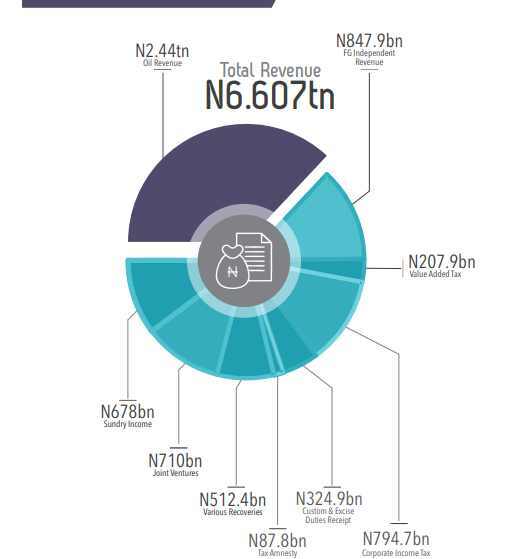 2018 Nigeria Budget Revenue Sources (source: BudgIT). 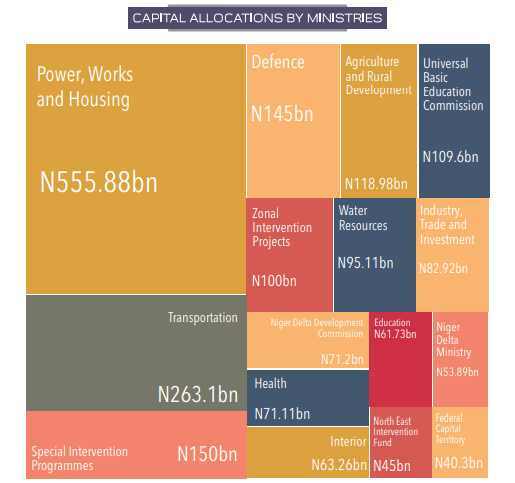 2018 Nigeria Budget – Capital allocation by ministries (source: BudgIT).